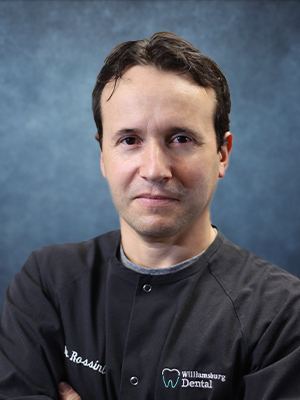 Dr. Andre Rossini grew up in Brazil and received his first DDS degree at the capital of Paraguay, where he practiced dentistry for 3 years. He then earned a Master of Arts in teaching from UNL and attended the College of Dentistry at the University of Nebraska Medical Center in Lincoln to earn his second doctorate. 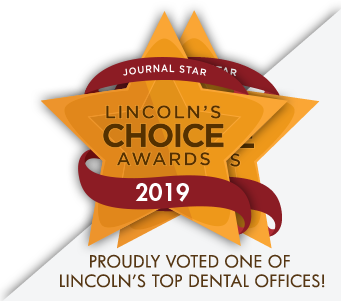 Dr. Rossini and his wife Laura have been proud Lincoln residents for the past 10 years. Dr. Rossini’s wife is a teacher for Lincoln Public Schools, and the couple have a little girl named Nina who can speak English, Spanish and Portuguese. Dr. Rossini enjoys volunteering as a dentist at the Lincoln People’s City Mission Free Medical Clinic and at Nebraska’s Mission of Mercy. His family also enjoys outdoor activities such as riding Lincoln’s trails, camping at America’s National Parks, and playing soccer. They regularly participate in sports at Spikes, Abbott Sports Complex, and the Bison Sports Arena.